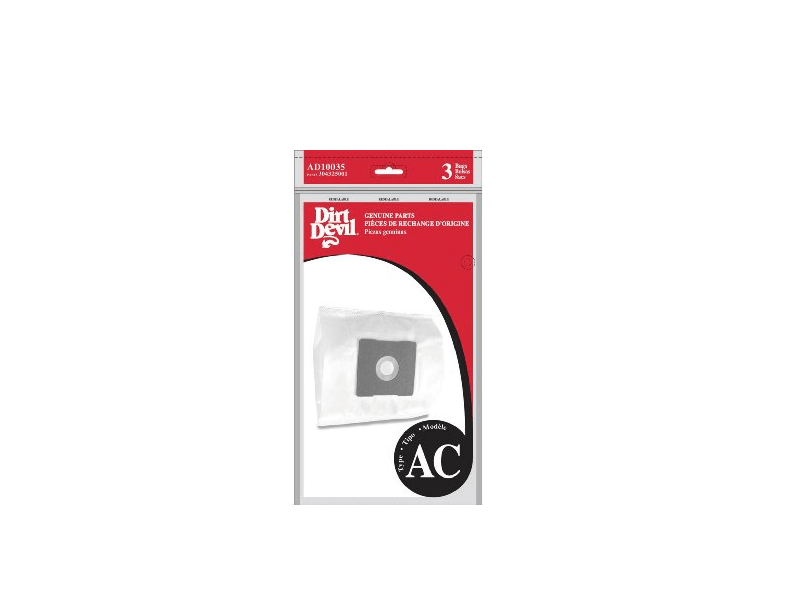 These dustbags are designed to trap all the dust and debris that your Dirt Devil vacuum takes in. When the bags are full, simply remove them from the canister and toss them in the trash. All of those irritating allergens and pesky crumbs will be gone for good. For assistance finding the proper bags for your Dirt Devil vacuum cleaner, please call (866) 972-8227.